A pergola is an open structure for your garden that is designed to provide an aspect of shelter and usually outlines a seating area. 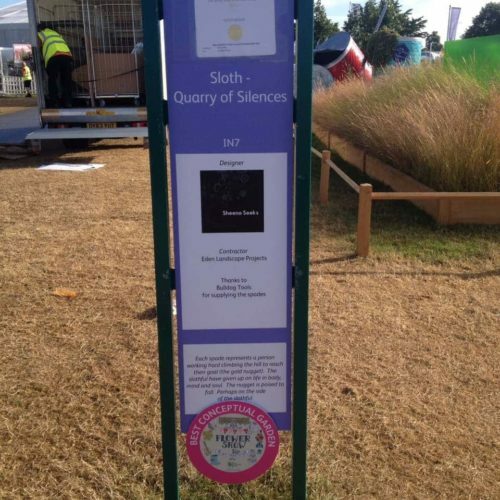 It can add a touch of elegance and is a simple way to turn your garden into a peaceful and relaxing place to spend time. Our timber pergolas are low maintenance and versatile and offer many mounting possibilities. 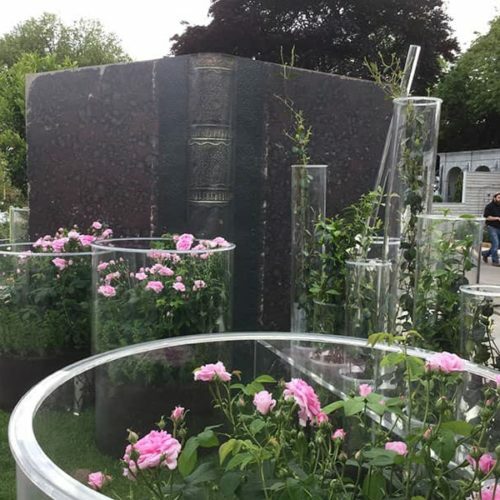 They can be created from your custom designs so that they fit the size and requirements of your garden perfectly. 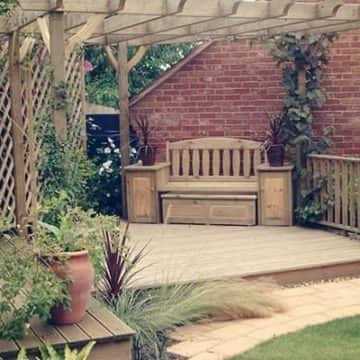 Softwood that has been pressure treated with a suitable preservative is the most popular type of wood used in the UK for pergolas. However, hardwood has natural durability and doesn’t require the pressure treatment. 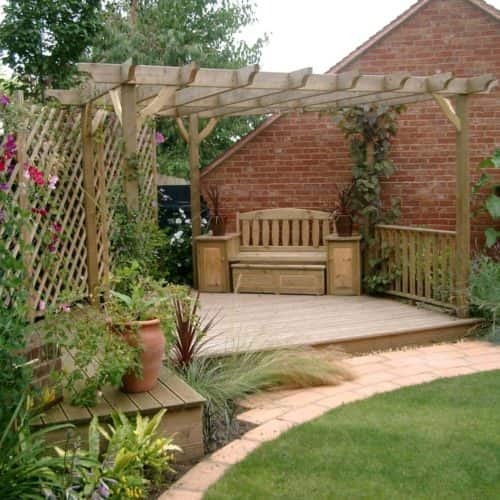 Eden Landscapers team can discuss the look that you want to achieve from your pergolas and can help you to decide which timber to use based on this. Which Plants Are Suitable For My Pergola? 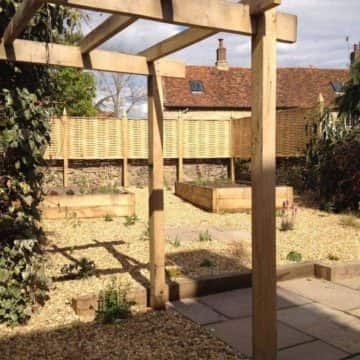 If you’re looking to add climbers, it is recommended that your pergola is around 2.7m (9ft) from ground level to allow the climbers to trail down without blocking any passages. 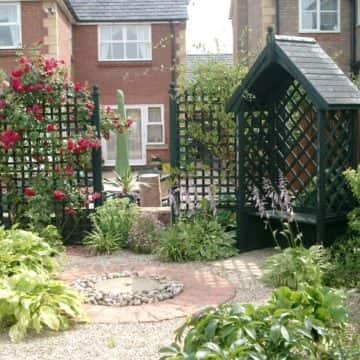 Having climbers growing up your pergolas can make them more attractive whilst also offering additional shade and shelter. 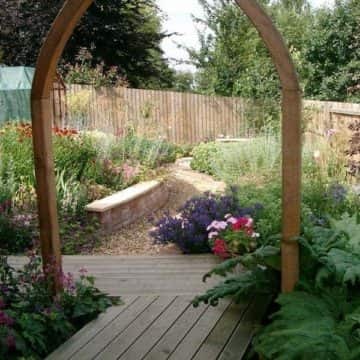 Any rambler or strongly-growing plants such as roses, clematis and honeysuckles are good choices for pergolas as they require little to no pruning and are easy to train up and over the timber structure. 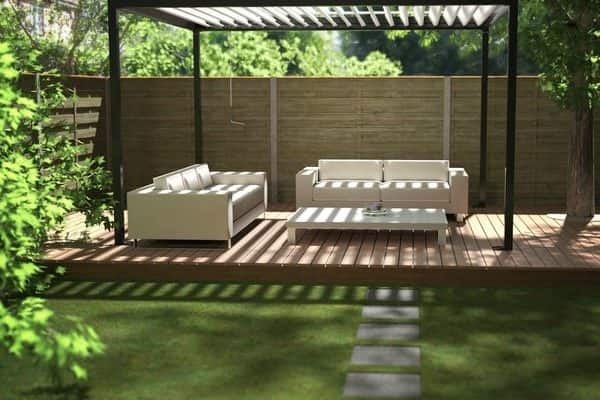 Eden Landscapes supply and install pergolas from Renson that are available in white or warm black. These pergolas provide shelter from the elements – be it rain, the sun, or the wind, thanks to the rotatable louvre blades. 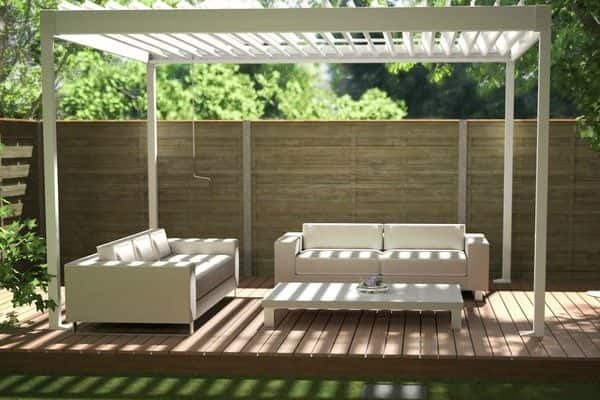 You also have the option to have your pergola mounted to your wall or left free standing. To speak with a member of our team and to discuss your requirements, please get in touch with Eden Landscapes on 01933 652 786 or via our online contact form. Brand NEW to the UK! Available now! Simple Manual Operation. No electricity necessary! • Standard integral gutter through which water is drained from the louvres to the legs: the drainage column can be selected.